Ground beef meal prep with juicy kefta and low carb keto veggie pilaf. This recipe for ground beef kefta is loaded with flavor and 100% keto diet friendly. The beefy kefta have a Mediterranean vibe because they are seasoned with lemon zest, herbs, smoked paprika, and cumin. The key to making flavorful ground beef kefta is to season aggressively – be be aggressive hey! I serve these juicy ground beef kefta with a cool and creamy lemony yogurt sauce. It pairs great with the flavors of the kefta and I absolutely love the temperature difference of hot kefta and cold yogurt. If you are on the keto diet and looking for tasty beef recipes, then you have to make this one. This is an easy keto recipe that anyone can make for meal prep for the week, and it makes 5 servings. I also have the best stuffed bell pepper recipe that happens to be keto as well. This keto beef recipes is served with low carb veggie pilaf. A traditional pilaf is rice-based. I just decided to get rid of the rice and use all veggies! Cauliflower and broccoli are chopped into small bite size pieces and cooked with onions, garlic, and mustard seeds. The seeds add a really nice floral flavor to the veggies, much like Indian dishes have. The key is to cover the pan with a lid. That way the veggies steam while they saute. To add even more flavor, I like to grate in some lemon zest. I mean you don’t call me obsessed with zest for no reason. Fr a bit of texture, I like to add some pecans. You can toast them if you want to make them even more tasty. If you see that ground beef is on sale, buy in bulk and put it in the freezer. This entire budget friendly meal comes in at under $4 per meal. Can you believe we are getting this kind of nutrition and flavor for such a cheap price!? The key for budget recipes is to buy when items are on sale and also buy veggies that are inexpensive. Broccoli and cauliflower are always cheap, and they happen to be low carb and delish. This keto diet recipe has juicy beef kefta with low carb veggie pilaf. 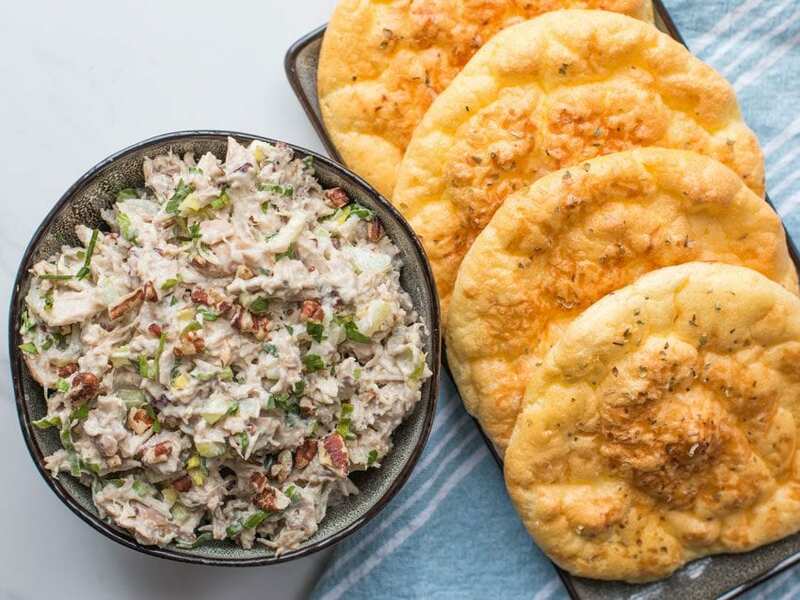 Major flavor with this ketogenic diet meal plan recipe that will last all week! Cook’s notes: Watch the video in this post to see how to cut the zucchini, cauliflower, and broccoli for the pilaf. Everything is cut small and similar in size, so they cook evenly. Make the pilaf by chopping the zucchini, cauliflower, and broccoli into small pieces that are roughly the same size, making sure not to use too much of the stalks. Pre-heat a large and wide pan over medium heat for 2 minutes. Add 2 teaspoons of oil to the pan and then the onions, garlic, mustard seeds, red pepper flakes, ¼ teaspoon salt, and a couple cracks of pepper. Mix well and cook for 6 minutes, stirring often. Add the chopped zucchini, cauliflower, and broccoli to the pan along with ½ teaspoon of salt and a few cracks of pepper. Mix well and place a lid on the pan, you can also use a sheet tray to cover the pan if you don’t have a lid. Cook for 10-12 minutes, stirring a few times. The veggies are ready when they have softened up, but still have a bite to them. Turn the heat off the pan and add the parsley, mint, lemon zest and juice, and pecans, mix well. Check for seasoning, you may need more lemon juice or salt. Set aside. For the beef kefta, add the ground beef to a large bowl along with the remaining ingredients(not the oil), 1 teaspoon of salt, and a few cracks of pepper. Use your hands to mix everything very well. Form the kefta by taking a little of the meat and shaping it like log or football, watch the video to see how I do this. You will have enough beef to make 14-15 kefta. Pre-heat a large pan, preferably cast iron over medium-high heat for 2 minutes. Add 2 teaspoons of oil to the pan, wait 30 seconds so the oil can heat up, then add half the kefta to the pan. Cook for 3-4 minutes, or until well browned, flip and cook another 3-4 minutes. Once both sides are browned, you may need to cook the kefta on the sides for 30 seconds to cook them all the way through. If you are not sure the kefta are done, cut one in half and check, it’s important not to overcook the kefta otherwise they will dry out. Remove kefta from pan, add a little more oil, and cook the second batch. While the kefta are cooking, make the yogurt sauce by combining everything in a bowl and whisking well. Check for seasoning and adjust if needed. 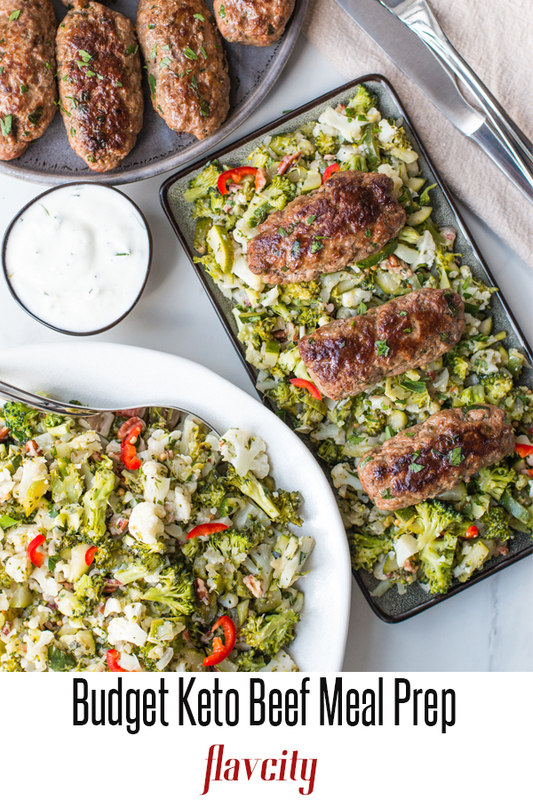 Serve the kefta with some yogurt sauce and pilaf, enjoy! Everything will keep in the fridge for 5 days, you can freeze the kefta for 2-3 months, but I would not recommend freezing the veggies as they will get very soft and watery. The best way to reheat the kefta and veggies is in a 400 F oven for 10 minutes, if using a microwave, cover the container with a wet paper towel and make sure not to overheat, as the beef will dry out. Hi Bobby! Thank you for everything you do for us! I love your videos, t-shirts, recipes, etc. I have told many friends about you… I work for a national weight organization and have told hundreds of members about your recipes! I particularly love the KETO ones, so MORE please!! Right on Chris, so glad to hear that! I always say that my recipes are easy enough for beginners, and you are proving it 🙂 Keep rocking the recipes! 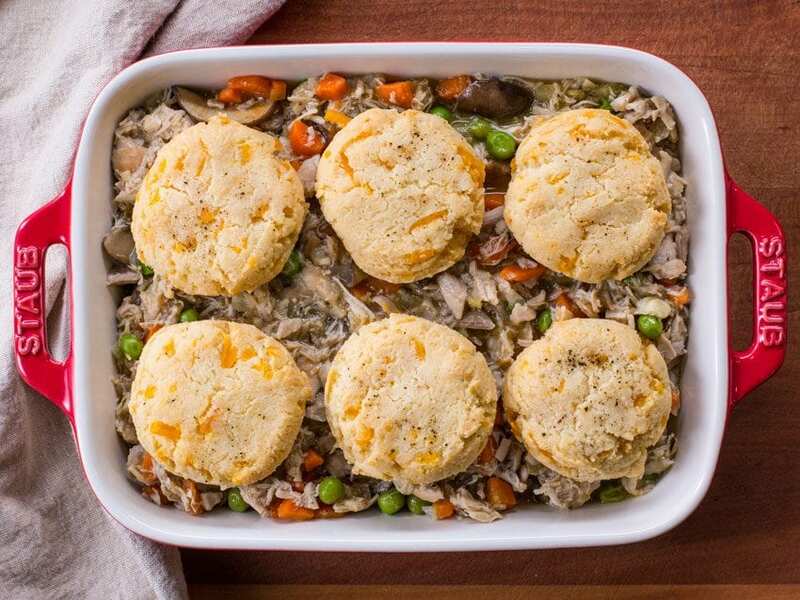 Do you have any keto recipes for kids to take to school? We super super love your keto recipe! my family are living the fat life for almost 4 years, and your low carb high fat, healthy, attractive and yummy meals are thumbs UP! Easy and available in the Philippines. Thanksss for sharing Bob! This looks amazing!!! But it seems like the video embed isn’t working. Started the keto diet and this was the first recipe I tried making and it was so amazing . I wish the carbs were a little lower but it has so much flavor you won’t care. Hi Angelea, so glad to hear it!! !